A total of 47.43 million electorate are deciding the fate of 2274 contestants, including 187 women, in the polling. 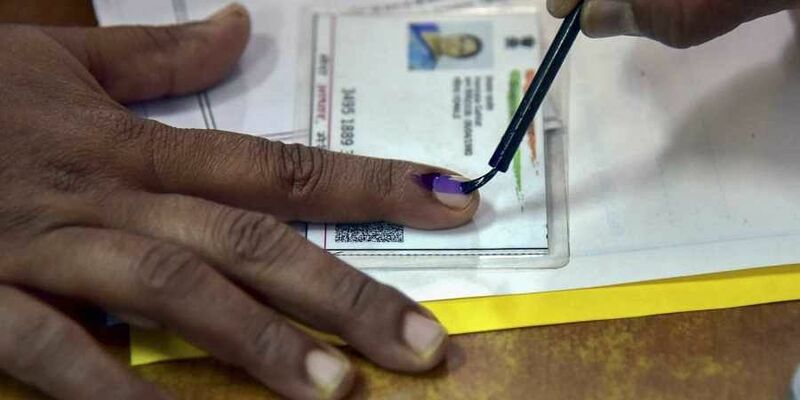 JAIPUR: An over 74 per cent voter turnout was recorded in Rajasthan on Friday for elections to the state’s Assembly. The voting began at 8 am and starting early, by 1pm almost 41.56 per cent of the electorate had cast its votes. Age was no constraint as people flocked to the booths. In Barmer, Pokaram Gavaria, aged 103, and his wife Gawari Devi, aged 100, came with four generation of descendents. Similarly, in Bikaner, 96-year-old Mohini Devi cast her vote just as another lady, Daakha Devi, aged 114, came to exercise her franchise in Jodhpur. Daakha Devi was accompanied by her 90-year-old daughter. Daakha Devi’s grandson asserted that his grandmother had cast the vote in the last elections also. The poling was peaceful aside from a few stray incidents in Bharatpur, Bikaner and Tonk. Over 1.40 lakh police personnel had been deployed across the state along with 640 companies of paramilitary forces. Thursday’s contest will decide the fate of incumbent Chief Minister Vasundhara Raje, who fought from her home ground of Jhalrapatan against Congress candidate Manvendra Singh, son of former Union minister Jaswant Singh. Congress state chief Sachin Pilot and former chief minister Ashok Gehlot are also in the fray. While Gehlot is contesting from his stronghold of Sardarpura in Jodhpur, Pilot is contesting his first Assembly election from Tonk.